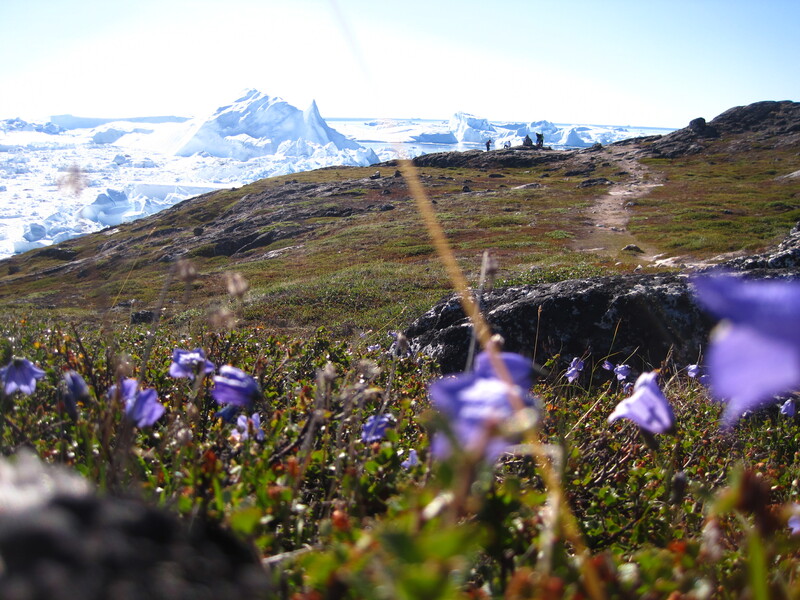 Kristin had been raving about Ilulissat all summer. In Nuuk, when we exclaimed about the icebergs in the fjord, she laughed and said, “Just wait for Ilulissat.” And yet, she kept worrying outloud: “What if the others don’t like it? What if it really isn’t as spectacular as I think?” The second our cohort spotted Ilulissat from our plane windows, we knew Kristin had no reason to worry. She was absolutely right: Ilulissat was so spectacular that our pictures didn’t seem real, even hours after taking them. Taking in the view from the hotel’s balcony. 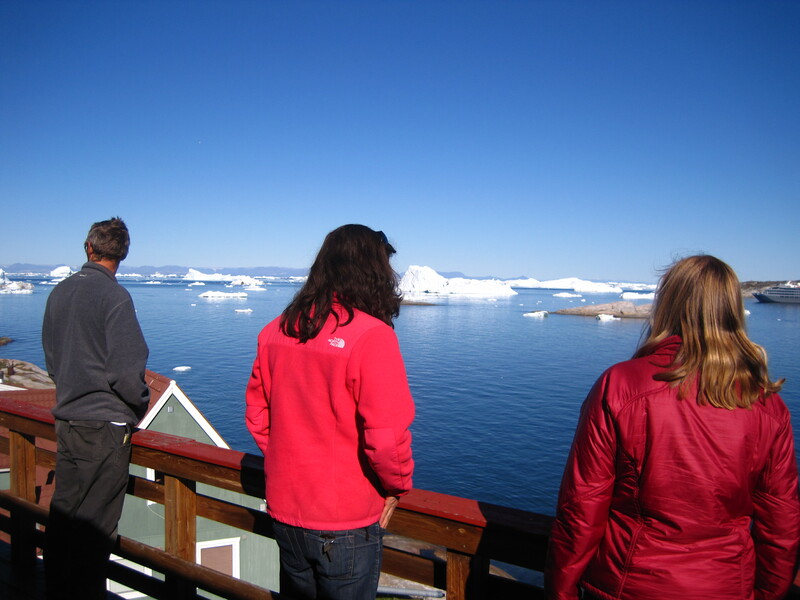 By this point, we agreed with Kristin completely: Ilulissat was incredible. Indeed, the natural beauty of Ilulissat, the third largest town in Greenland, has been recognized internationally by the World Heritage Committee. In 2004, Ilulissat Icefjord joined the ever-growing list of World Heritage sites, which includes familiar locations such as the Statue of Liberty, Yosemite National Park, and Yellowstone National Park. World Heritage sites are chosen for their ‘outstanding universal value,’ and must meet at least one out of ten selection criteria (to learn more about the selection process, visit the World Heritage Committee’s website). 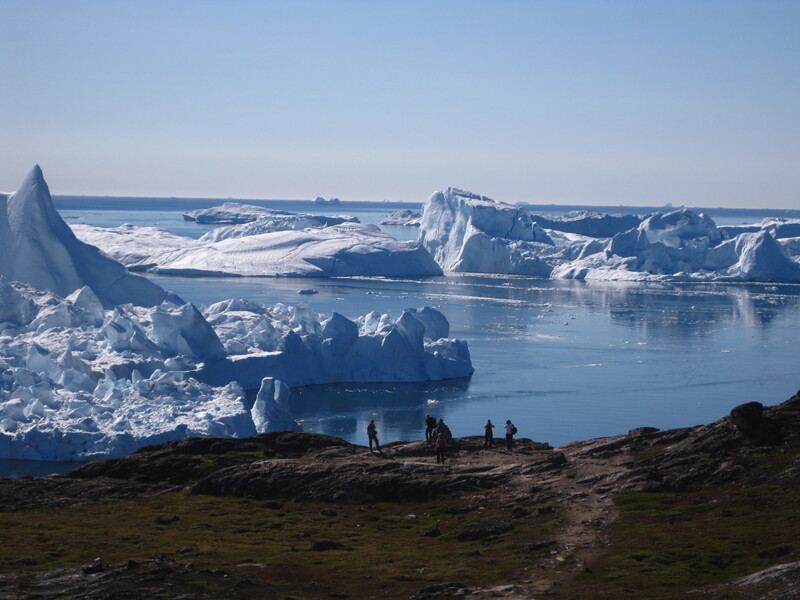 Ilulissat Icefjord met two selection criteria: being an example of an important stage in Earth’s history, and being a memorable natural spectacle. There is no doubt that the view of the Ilulissat Icefjord is memorable. 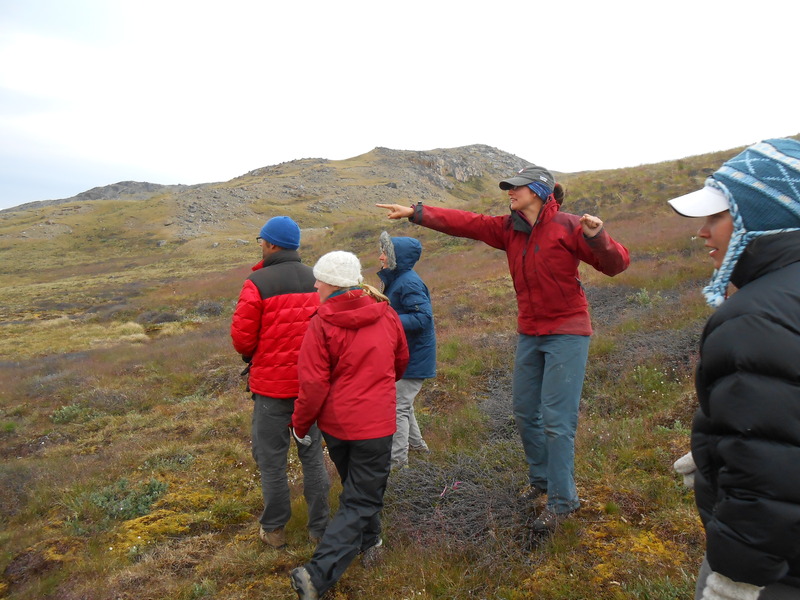 Our first day in Ilulissat, Kathy Young, CPS Science Coordinator, took us on one of the many marked trails around town. As we rounded the corner and the icebergs came into view, our jaws dropped in amazement. Continuing along the rest of the hike was slow going – we had to stop every few minutes to stand in awe, take pictures, and pinch ourselves. Cohort 4 soaks in the beauty of the icebergs during our first day in Ilulissat. We had to stop frequently to take pictures. A few days later we experienced something that will stick with me forever. As we walked from town to the World Heritage Site, cold fog suddenly blew in. At first, we thought we wouldn’t be able to see any icebergs. As we looked up, however, we realized that the tops of the icebergs were sticking up through the fog, floating pinnacles of towering ice. Absolute magic. 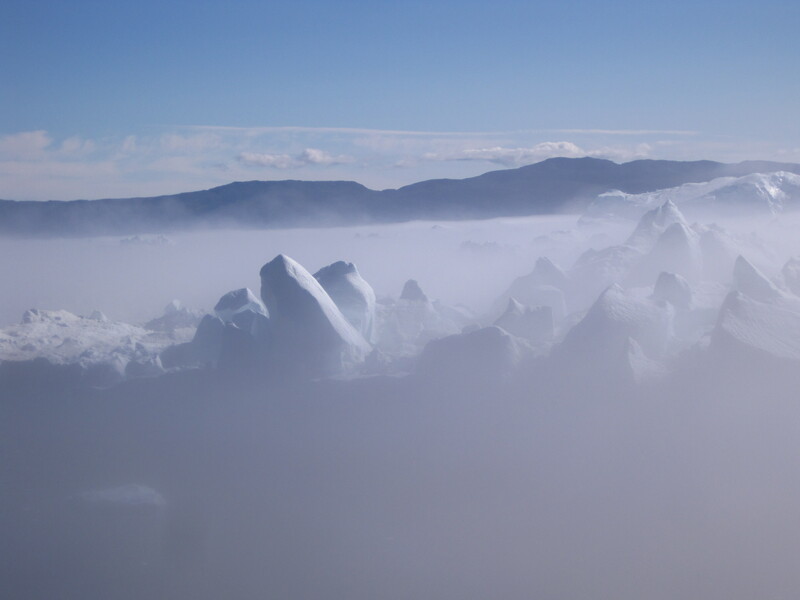 Icebergs floating on a bed of fog. It is Ilulissat’s other reason for World Heritage site selection that makes me pause and think: an example of an important stage in Earth’s history. Usually, when I think of Earth’s history, I think far back in time: the first life on Earth, the rise of oxygen in the atmosphere. Ilulissat Icefjord, however, is an example of a very recent stage in Earth’s history. The fjord was full of ice during the Last Glacial Maximum, and we are today witnessing the retreat of the glacier up the fjord. Thinking about the site in terms of Earth’s history makes me realize just how fleeting this natural phenomenon is. At some point, will people stand looking out over the fjord, relying on signs telling them about the icebergs? Will the location of the World Heritage site seem strange: just another glacial fjord, devoid of ice? How will they ever know how beautiful it was? 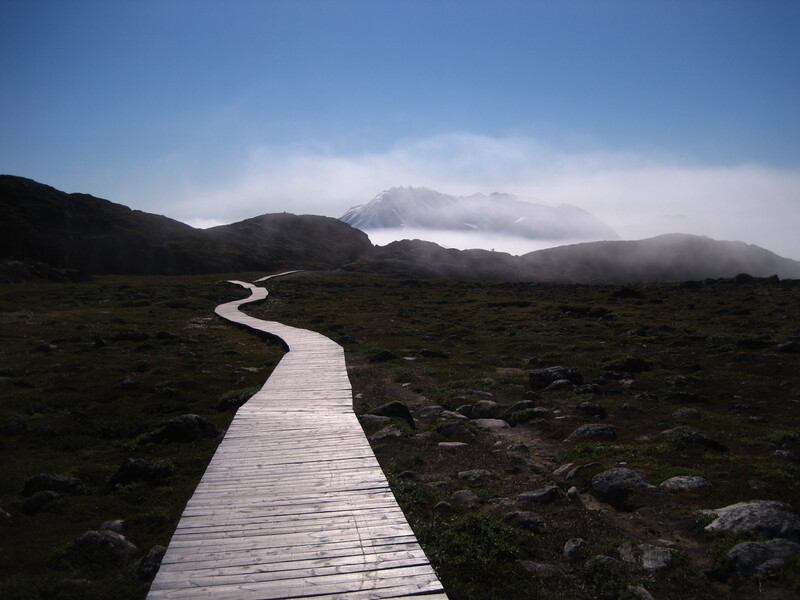 What will this boardwalk lead to in a few hundred years? Seals, polar bears and narwhals, oh my! Seals, polar bears, and double-tusked narwhals, oh my! One of the many exciting things to do in any capital city is go to their museums. Nuuk is no exception! The C4 IGERTs (+ C1 IGERT Lauren, now a Dartmouth postdoc) got to experience part of Greenland’s cultural history by visiting not only the Nuuk Museum and the Art museum, but also an ‘economy’ museum where we watched a few very skilled inuit people constructing their traditional outfits. The Museum (a.k.a. 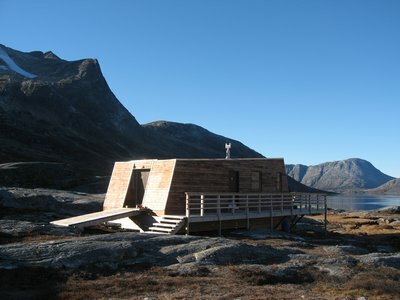 Nunatta Katersugaasivia http://www.natmus.gl/) was established in the mid-1960’s and was one of the first museums in Greenland. The Museum is made up of multiple buildings and walks through different periods in Greenland’s history from the first settlements to industrialization. The exhibits show what every day life was like through displays of traditional clothing, modes of transportation and even types of food they were eating and hunting. Beyond seeing the detail in the traditional Greenlandic costume, one of the most interesting things for me were the different hunting outfits, hunting boats and how they evolved with new hunting methods and with new animals being caught. 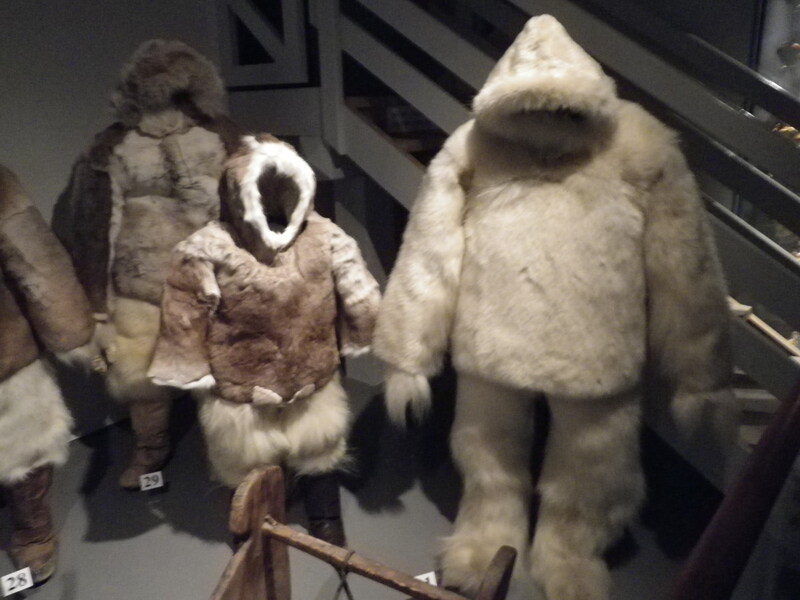 The Museum even had a few of the outfits from arctic explorers- one was made entirely out of polar bear! The Museum even has an impressive skull of a Narwhal with two tusks more than 2 meters in length! Right around the corner from The Museum is Kittat the ‘economy museum’, or workshop, that specializes in making the traditional Greenland costumes. 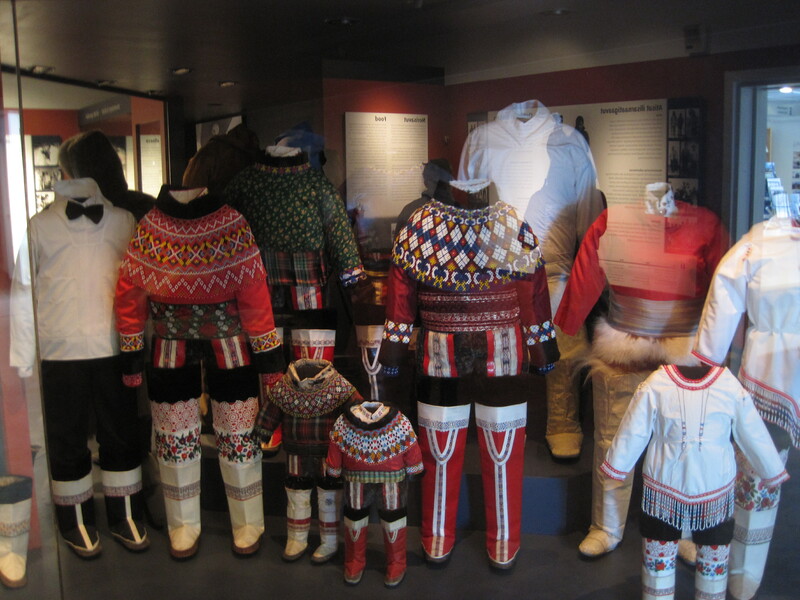 The traditional Greenland outfit is made of different seal skins, intricate beading, crocheted lace and wollen cloth. Kittat is a fully functional shop with the sewing room inside and the skin-drying racks outside. Not only could you watch some of the incredible beadwork and leather stitching taking place, but you could try your hand at sewing some of the leather pieces together- they make it look so easy! The last museum we had the opportunity to visit was the Art museum, Nuuk Kunstmuseum (http://www.kunstmuseum.gl/). 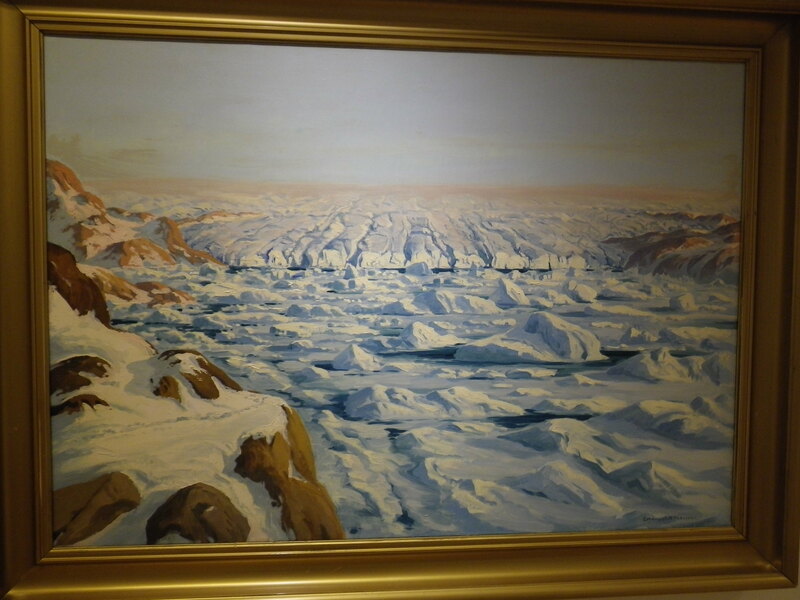 This museum (and over 300 paintings and nearly 500 figures) was given by Svend and Helene Junge Pedersen in 2005 and donated to the citizens of Nuuk. Among all of the fantastic art, Nuuk Kunstmuseum contains the largest collection of paintings by Emanuel A. Petersen (150 pieces). E. A. Petersen (1894-1948) was an artist from Copenhagen who traveled all around Greenland in the early 1900s painting, drawing and sketching the different landscapes. These paintings are some of the first forms of documenting the landscape (including glacier position!) of this area. We even got a special treat at the last stop on our Nuuk museum tour- when we were talking with the curator, we found out she used to be a member of the Greenlandic government. She was in office when Greenland was granted self-rule (June 21, 2009) which gave Greenland more independence from Denmark. Hearing another first hand experience of that day and all of the new experiences that resulted was incredible! I think we will all remember Nuuk with fond memories of the culture, museums and especially the people. Thank you Nuuk! The first time I walked through Ilimmarfik, the building that houses part of Ilisimatusarfik, or the University of Greenland, I immediately felt at home – although the physical environment is very different from the Dartmouth campus (and the views are much more spectacular), the atmosphere in the library and classrooms was just the same. I also felt at home because of the warm welcome we received from everyone we met; all were eager to meet us, share their knowledge, and strengthen the connection between Dartmouth and Ilisimatusarfik. 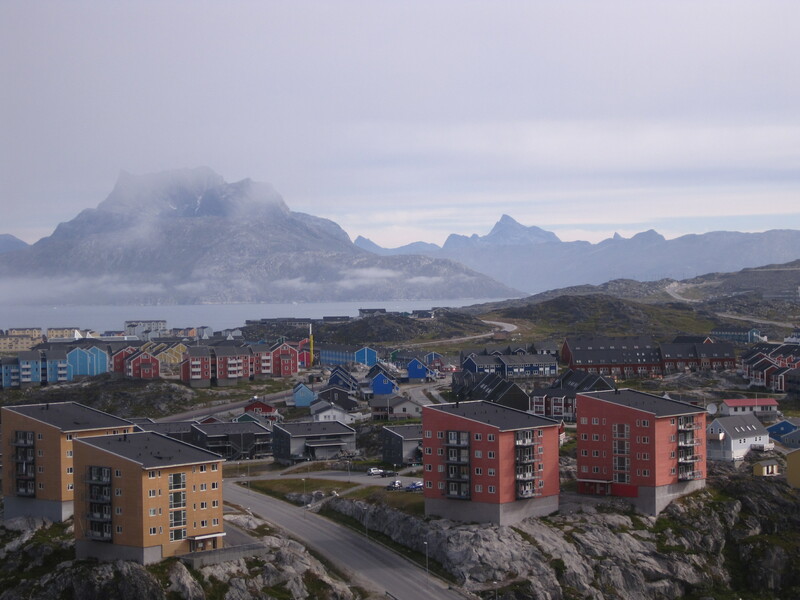 Views around Nuuk are slightly different from the Dartmouth campus. At the end of the week we were invited back to Ilimmarfik for a full day of lectures about Greenlandic culture, history, and language. For me, the most inspiring part of the day was to hear from two PhD students about their research. 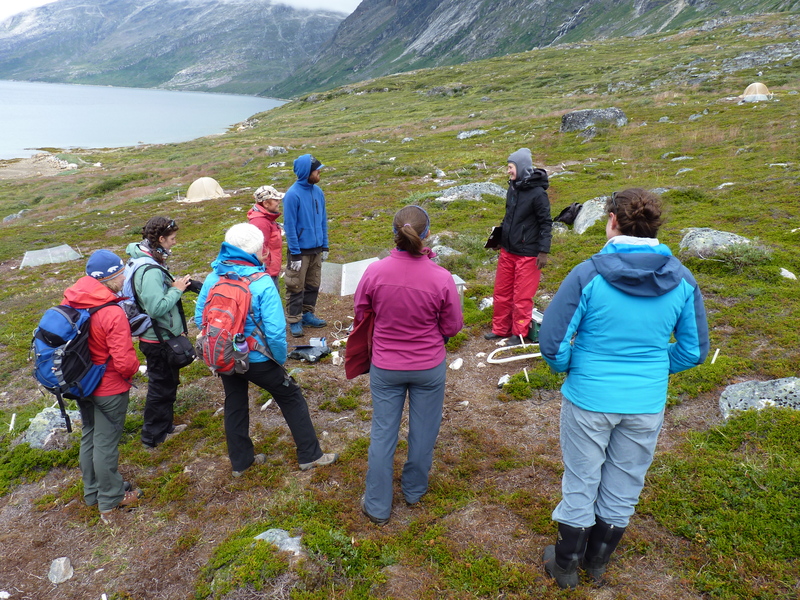 While waiting for the fog to clear so she could head out for fieldwork, Ann Eileen Lennert told us about an impressive interdisciplinary project looking at past use of the fjord system around Nuuk. 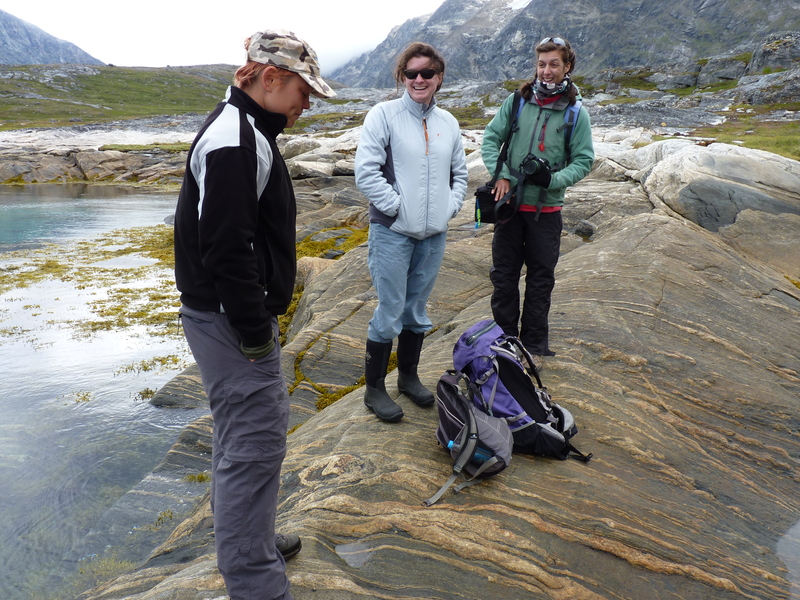 By combining archaeology, marine geology, and anthropology, Ann Eileen will investigate how the ice conditions in the fjord system have changed over the past few thousand years. 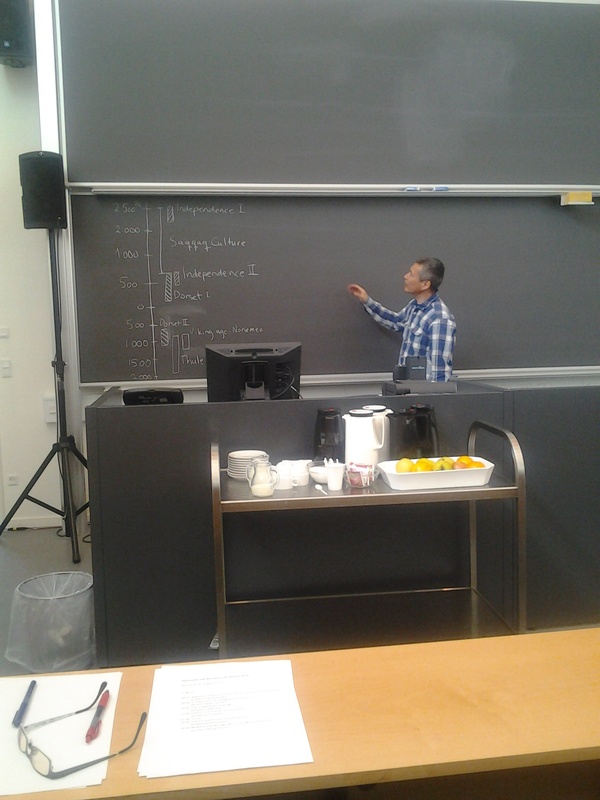 Axel Jeremiassen, a PhD student in the Department of Cultural and Social History, gave us a detailed account of Greenland’s history from the arrival of the Saqqaq people in 2500 BCE through WWII. Unlike many indigenous peoples, Greenlanders have had the fortune to have a long history of written language. Axel’s PhD project takes advantage of this rich history by looking at letters to the editor in the two longest running Greenlandic newspapers, Atuagagdliutit and Avangnamiok, to see the opinions and thoughts of Greenlanders over time. Axel Jeremiassen teaches us about the early history of Greenland — the Saqqaq, Dorset, and Thule cultures. Our experience at Ilisimatusarfik was both educational and enjoyable. Many thanks to all for the warm welcome and the willingness to share knowledge with us. We look forward strengthening our ties with Ilisimatusarfik in the future. 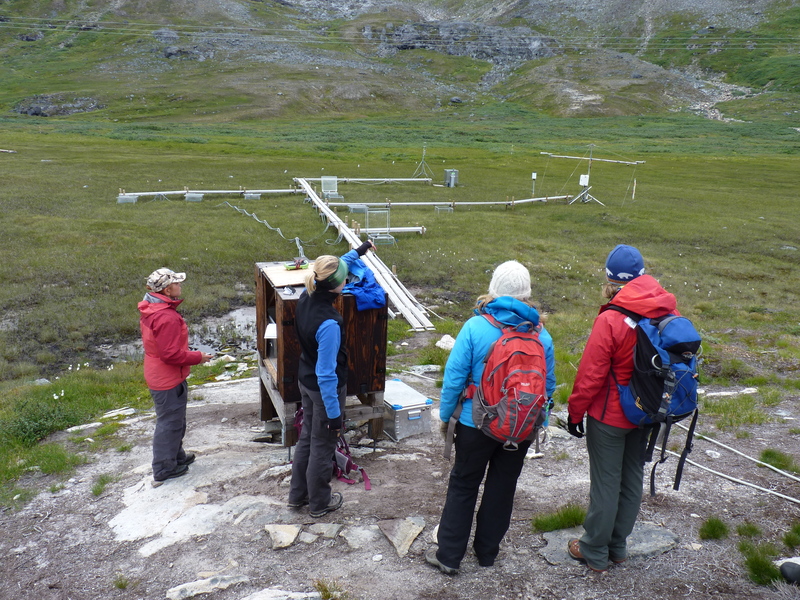 On Aug 8th we had the pleasure of traveling up the Kobbefjord by boat to visit the Nuuk Basic field station. Nuuk Basic was established in 2007 through funding by the Aage V. Jensen Charity Foundation and is run by the Danish Energy Agency. The aim of the field station is to document and study the effects of climate change on aquatic and terrestrial systems. Although relatively new, the station has already housed many researchers and is generating incredible data. What’s more, the long term data they have begun collecting will undoubtedly be valuable in the coming years and decades, especially when compared to the data generated by its sister field station, Zackenberg Basic, in Northeast Greenland. 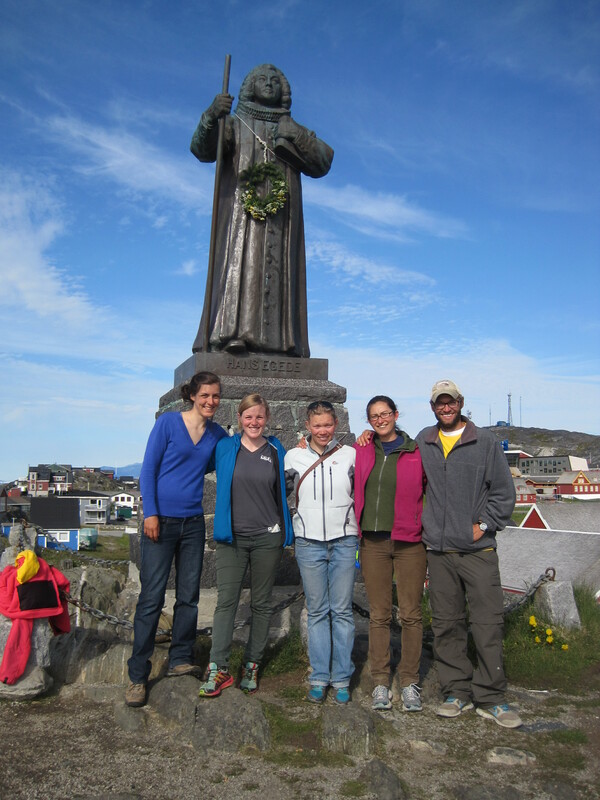 After a lovely 45 minute boat ride from Nuuk we were greeted by our guide for the day, Maia Olsen. 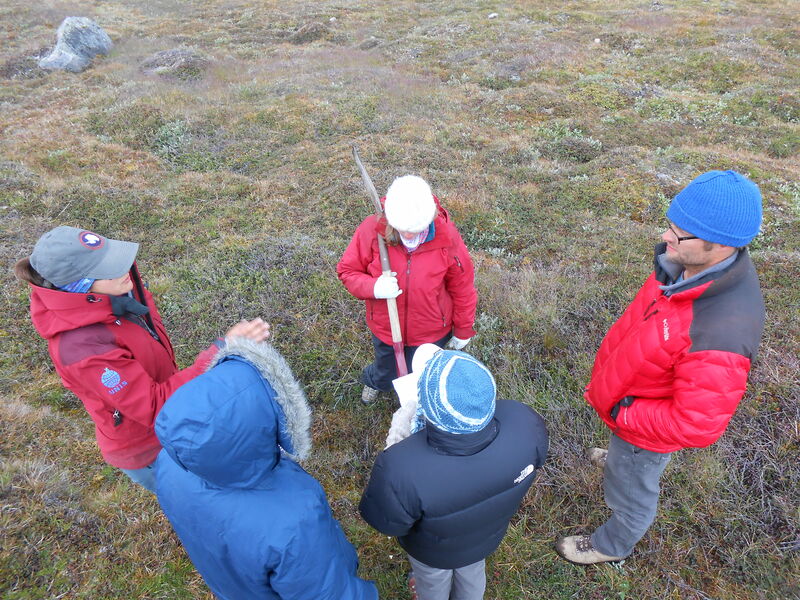 Maia is a Nuuk native who traveled to Denmark to obtain her bachelor’s degree in molecular biology but has returned to Greenland to spend time in the field. Maia greets us on the rocks as we arrive by dinghy. 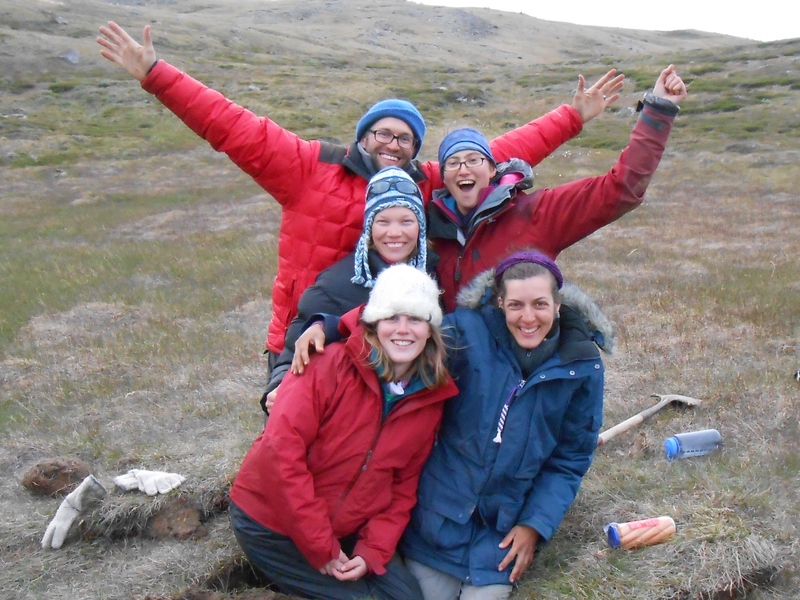 Maia is in charge of collecting data associated with BioBasis, which is one of the four branches of research conducted at Nuuk Basic (the others are ClimateBasis, GeoBasis, and MarineBasis). For BioBasis, Maia is observing phenology of flowering plants, conducting bird surveys, and pan trapping for insects among other duties. I was interested to learn that, like the Colorado habitats where I perform my field work, snowmelt is the main driver of flowering phenology in these habitats. Maia explains what data she is in charge of collecting as part of BioBasis. Next we were introduced to Maria, a Danish researcher who is getting some field time in before starting a Master’s program. Maria is currently in charge of collecting data on soil methane release. The set-up is incredible, and consists of a series of small bridges extending into a wet meadow. The bridges lead to eight plexiglass boxes. Once every few minutes, the lids automatically close and take methane measurements using a sensor similar to the IRGA that we learned about from Julia Bradley-Cook. One of the most incredible features of this research is that all of the data are instantly and freely available online (link). Maria explain how the methane monitoring system works. After a quick hike we came across three more researchers who are studying how climate change could affect soils and vegetation. 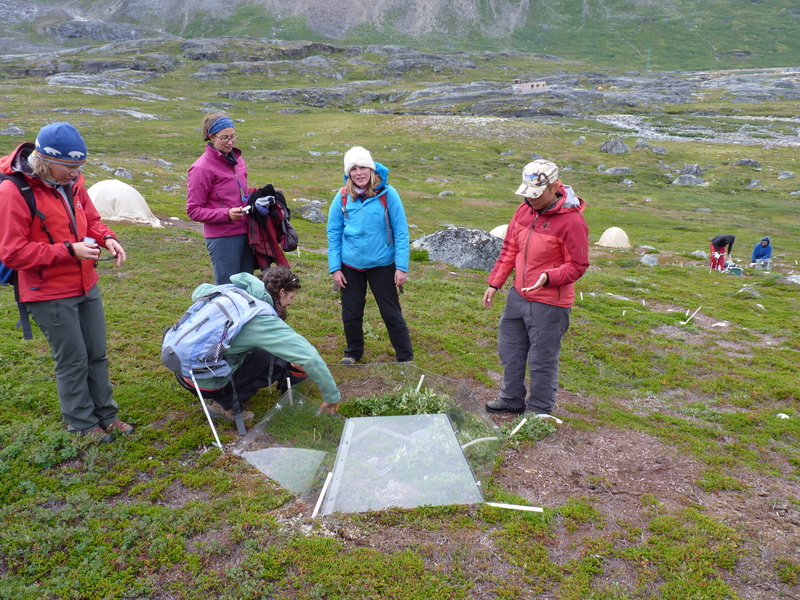 They are using ITEX, the plexiglass structures pictured below, to increase temperatures over several plots within a meadow near the Nuuk Basic field station. We tried sticking our hands in these plots and noticed that the air was considerably warmer in there, so the treatments seems to be working well! 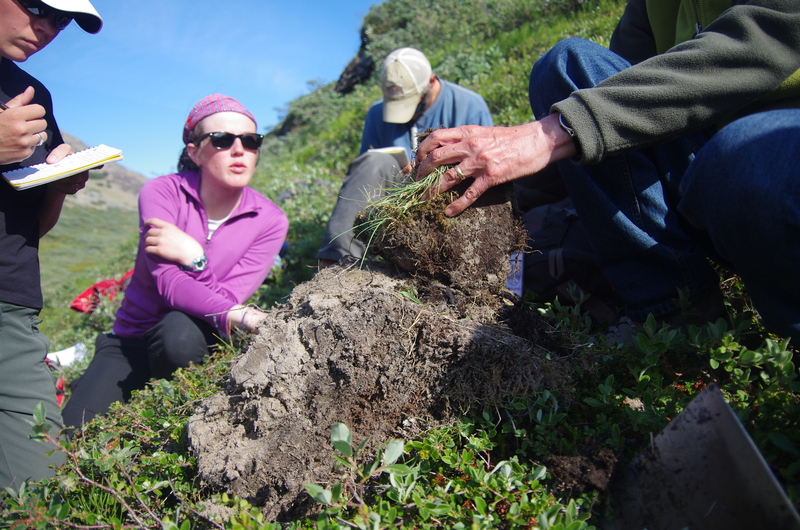 The first researcher explained that she is studying how increased temperatures could affect soil CO2 flux by placing an IRGA over a small patch of bare soil in each plot (learn more about an IRGA from Julia here!). Next, another researcher demonstrated how he collects data on vegetation CO2 flux using a larger chamber that fits completely over the shrubby plants within the plots. Finally, yet another researcher showed us how he collects air samples to test for VOCs (volatile organic compounds) released by the plants. Christine tests the air inside the ITEX. Yep! It’s warmer in there! 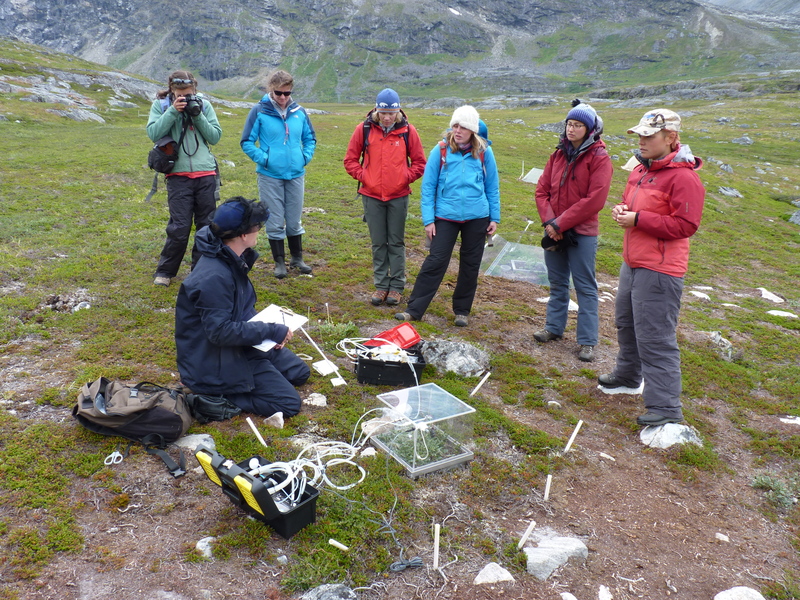 We get the lowdown on how the Nuuk Basic researchers are investigating how warmer climates could affect soil carbon flux. We are all impressed the the volatile organic compound (VOC) capturing machine! The VOCs are sucked up into a small metal tube, to be analyzed later in a lab in Denmark. 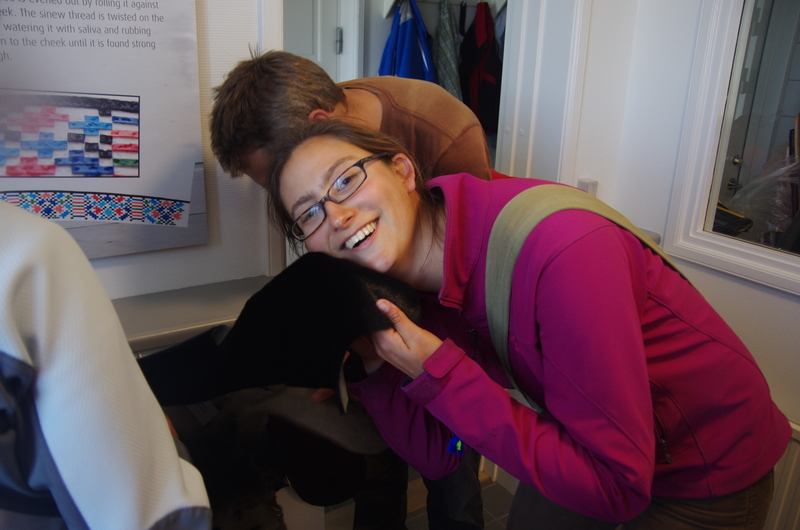 Nuuk Basic is an incredible facility filled with enthusiastic scientists. Thanks to Maia and all the other researchers for taking time out of their field seasons to show us around, we are eager to see what conclusions can be drawn from these data! Keep up the good work! Check out those sweet hats! 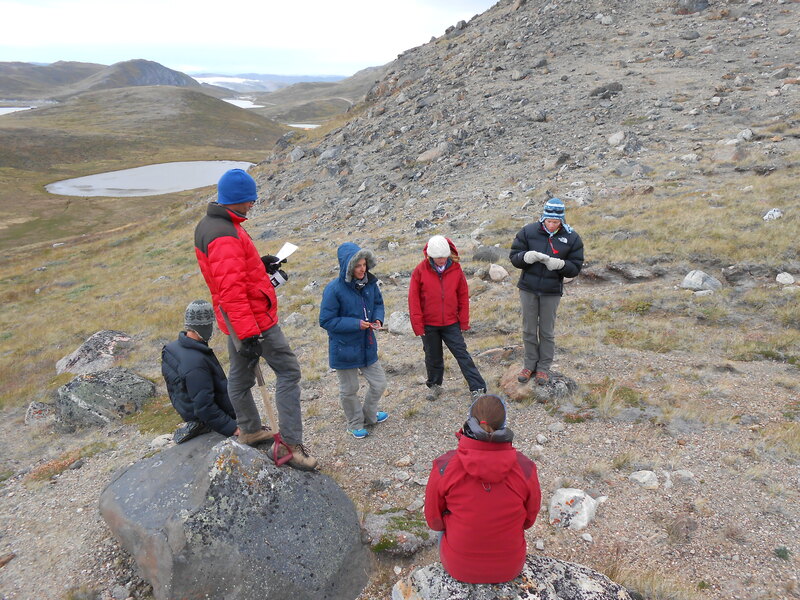 As the lone engineer on this field seminar, there has been so much to gain from the unique perspectives of both my fellow students and everyone that we have been fortunate to meet in Greenland. After over a week of seeing the tundra through the eyes of ecologists and earth scientists, I was excited to travel to Nuuk, Greenland’s capital city, and see this beautiful country through the eyes of the people who live and work here. 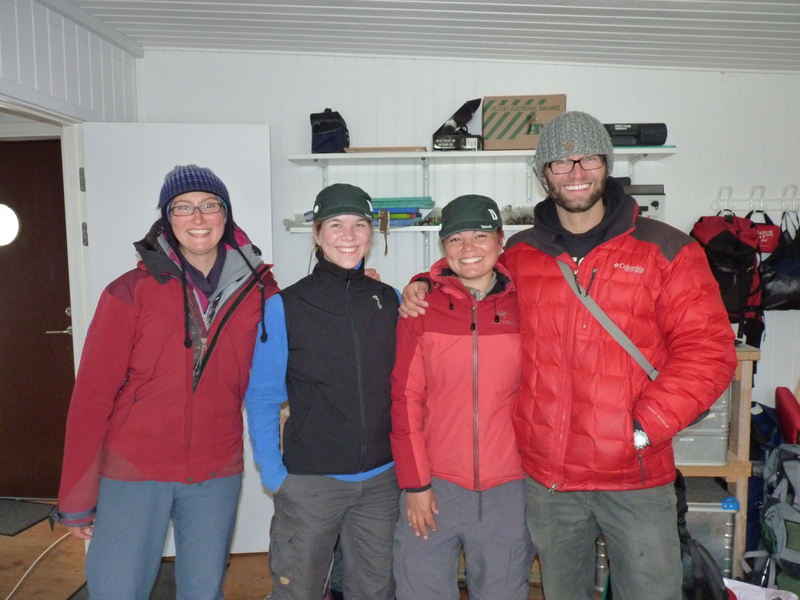 Cohort 4 arrives in Nuuk! With many changes happening in Greenland due to exploration for natural resources, a recent election, and a rapidly changing climate, there is so much for us to learn. We were able to meet with representatives from the Department of Permitting for Minerals and Natural Resources, the Greenlandic hunters and fishers association (KNAPK), the Inuit Circumpolar Council, and physicians from Nuuk’s center for family medicine. Of course, the engineer in me sees all of these different perspectives as part of a larger system. Each person that we met with had a particular expertise within the system but it was the links between these entities which were the most interesting. For example, figuring out how natural resource exploration and extraction might affect hunters and fishers in Greenland, or how a changing climate and globalization might affect the culture or mental health in Greenland. 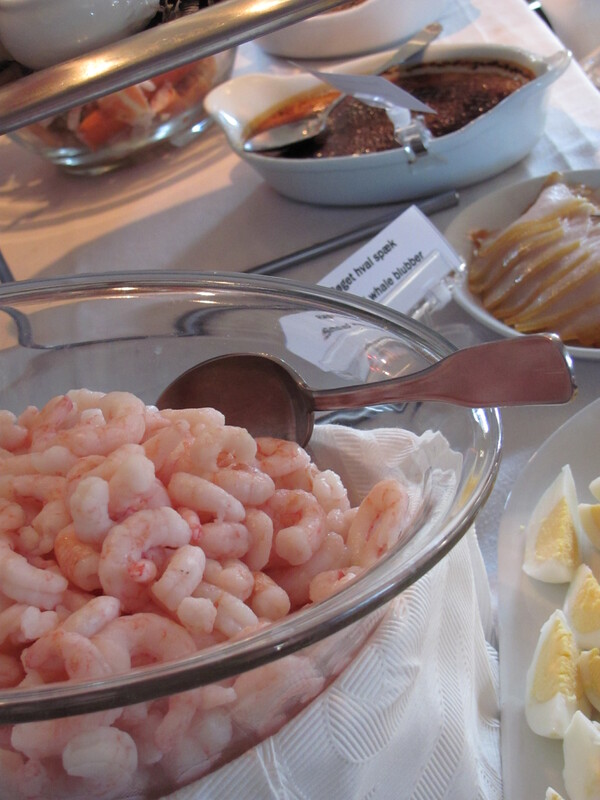 Shrimp populations in Greenland are moving northward, causing economic shifts in southern Greenland. These types of cross-linking effects are already visible. Some examples of these changes include shifting aquatic species found in Greenland’s waters due to warming temperatures and the emergence of more chronic illness in Greenland caused by changing diets and lifestyles. It is of course a complex and extremely dynamic system, as vibrant as the colors of the homes in Nuuk and as alive as the culture and city at all hours of the day. We were given a unique chance to delve into some of its pieces this system with the help of all the generous people we met. 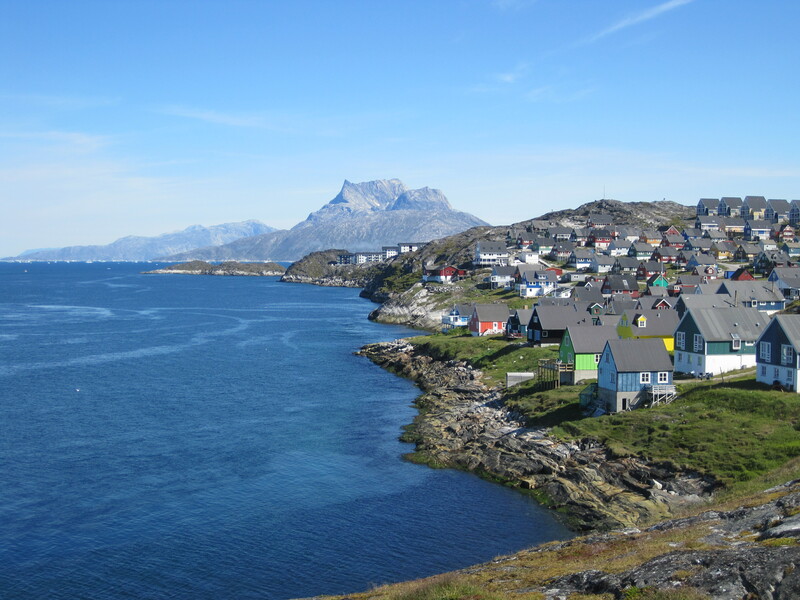 Brightly colored houses dot the coastline in Nuuk. We would like to extend many thanks to all of the people who took time to meet with our IGERT cohort while we were in Nuuk! We appreciate that you shared your ideas and time with us. 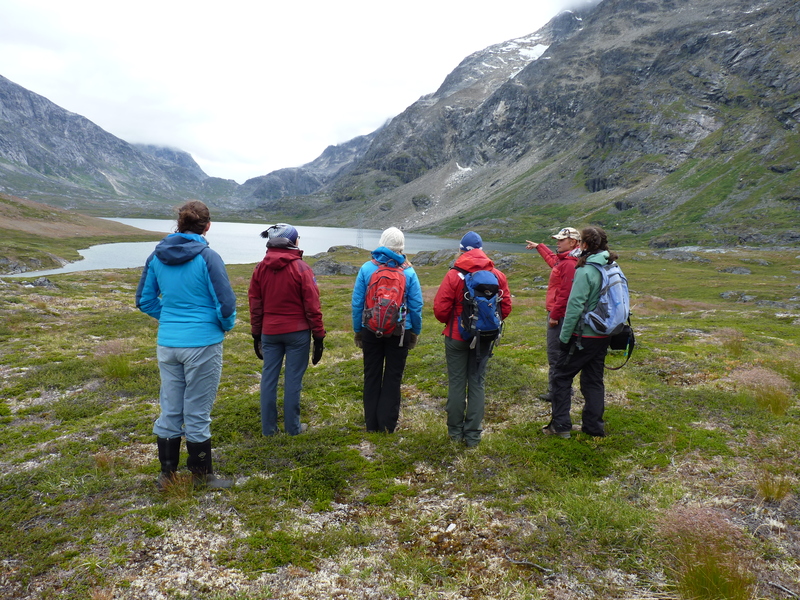 You never know what you might come across in the tundra of Kangerlussuaq – particularly if you know where to look! Keeping with the IGERT tradition, Cohort 4 spent one of our evenings in the field on a treasure hunt set out by the cohorts that came before us. Setting out on our adventure – shovel at the ready! With a combination of challenges that tested our orienteering, our knowledge of Grateful Dead and Greenland, and our digging endurance, we wandered around Seahorse Lake on a quest for treasure and glory. 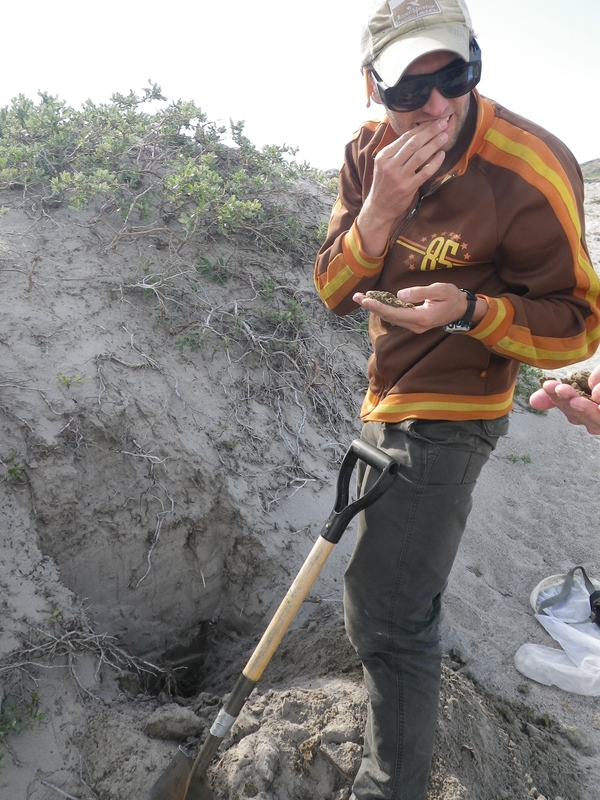 Ruth makes a crucial discovery – to the rock turtle! It was fun to follow in the footsteps of the cohorts that came before us as we paced our way from clue to clue. Creating our plan of attack to get to the next clue. As we came to the final clue and had found our buried treasure site, we furiously dug through the organic layer and the down into the soil. When we hit the frozen soil with no signs of treasure, we thought something may have gone awry, but we persevered. After all, Cohort 3 warned us, “We hope you are buff, ‘cause this might be tough,” and how could we turn down such a challenge? After over an hour of chipping away at the icy ground, the treasure was revealed! Zak chips away at the frozen soil as we eagerly await the big reveal! Celebrating the fruits of our labor as we all stand in the hole at the site of our buried treasure! Many, many thanks to Cohorts 1, 2 and 3 for preparing this fun adventure for us! Y’all are awesome! 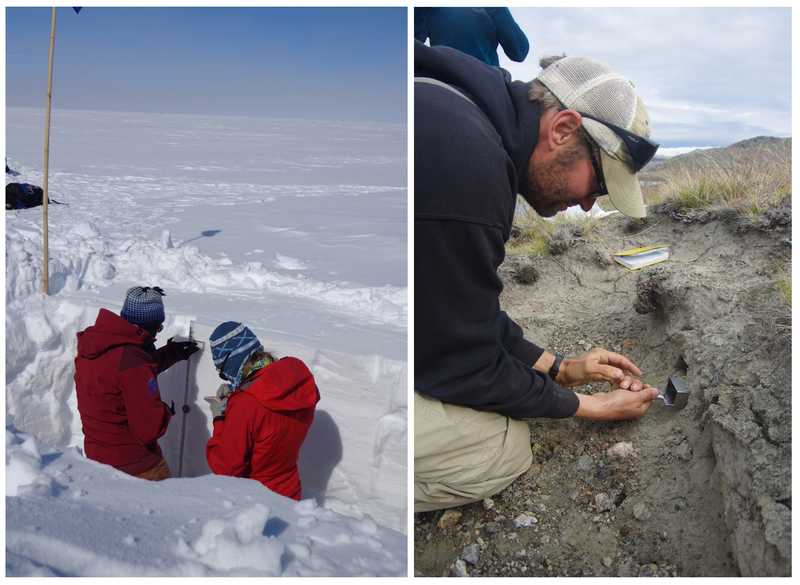 What’s cooler: snow pits or soil pits? Among the IGERT group, that could be a bit of a loaded question. I may be just a tad biased, so I will diplomatically bow out of answering that question directly, and instead present the facts that I’ve gathered about snow and soil and what we can learn from them. Digging is digging is digging. 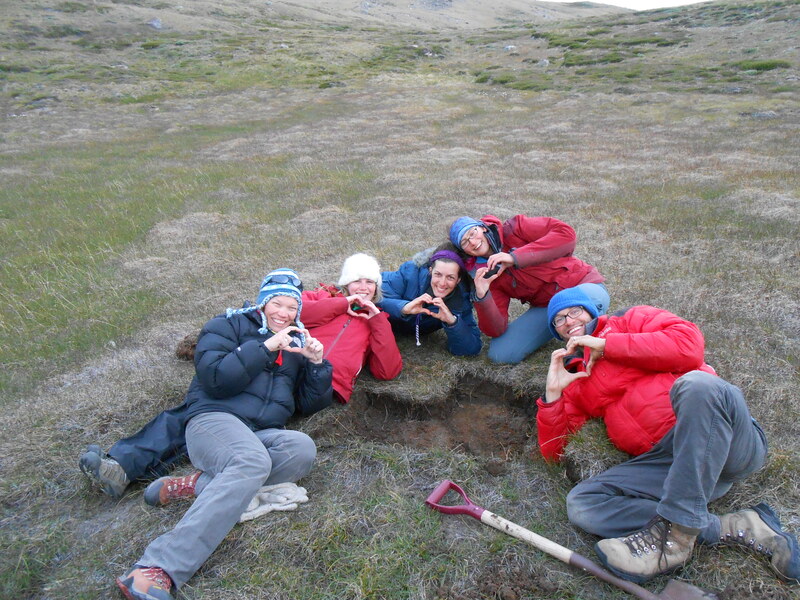 If you want a hole in the ground, you’ve found the right group! We love it so much that we have even created a dance move to celebrate digging. Whether in the tundra or on the ice, the IGERT crew can conquer any digging challenge. One feature shared between both soils and snow is their tendency to form stratigraphic layers. In snow, these layers can be seasonal or from particular storm events. As more snow accumulates every year, and the layers remain frozen even through the summer, the layers continuously build on top of one another. In soils, the layers are referred to as “horizons.” The uppermost horizon is known as the O-horizon, which is an organic rich layer, followed by the A, B and C horizons. Proceeding downwards, the horizons become decreasingly organic and increasingly mineral rich until you reach the parent material beneath the soil. Stratigraphy in the snow and firn at Summit (left) and in the Sandflugtdalen of Kangerlussuaq (right). 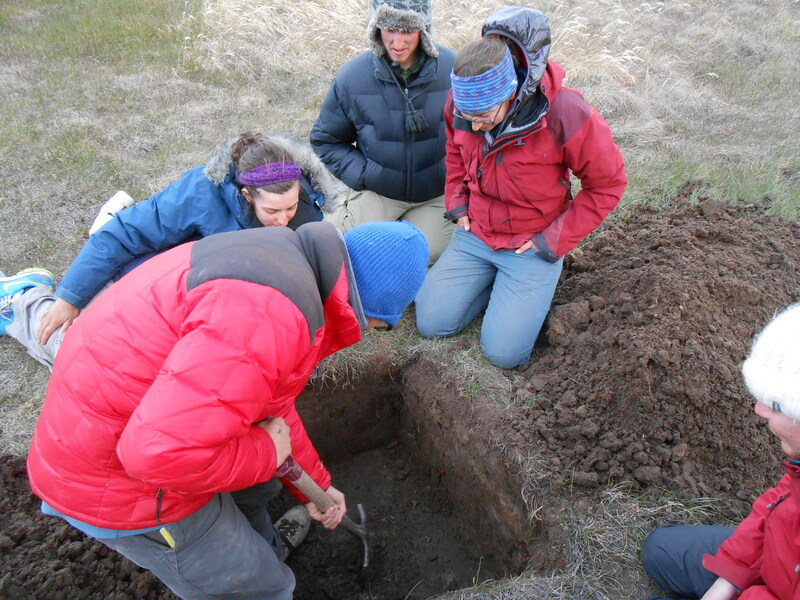 In both soil and snow pits, isotopes can be used to estimate the age of the horizon. In high snow accumulation areas, the snow layers show seasonal trends in oxygen isotopes. 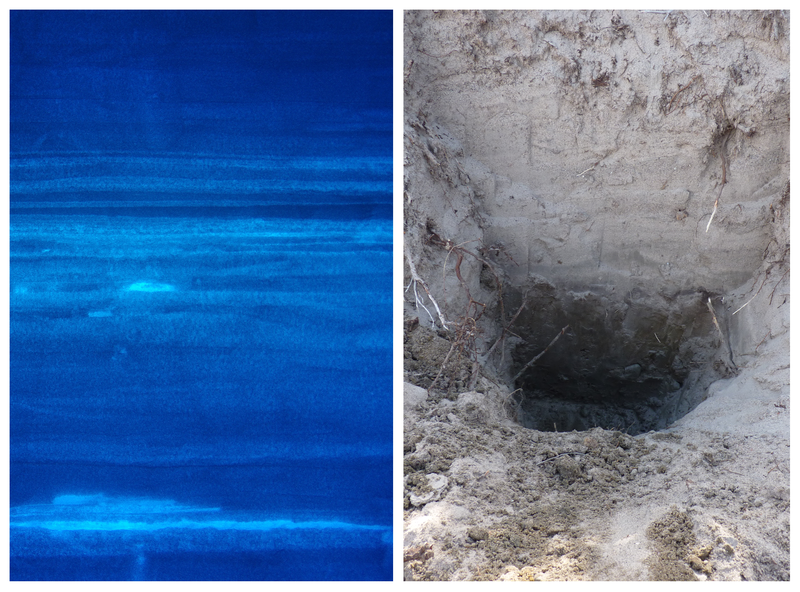 Counting back from the surface allows researchers to determine the age of layers. In soils, any remaining organic material in the soils can be dated by analyzing the isotopes of carbon. Histories can be unraveled in both snow and soil by tying the age of the horizons to other properties. In soils, this could be an investigation of what types of plants were growing at a time in the past. In snow, this could be a study of how carbon dioxide in the atmosphere has changed over time. In either case, the story needs a timeline and isotopes provide the tick marks for us. Though I was skeptical at first, Ross’s module on soil horizons won me over! In seems that across many disciplines, density measurements are used as a simple way to characterize a material. 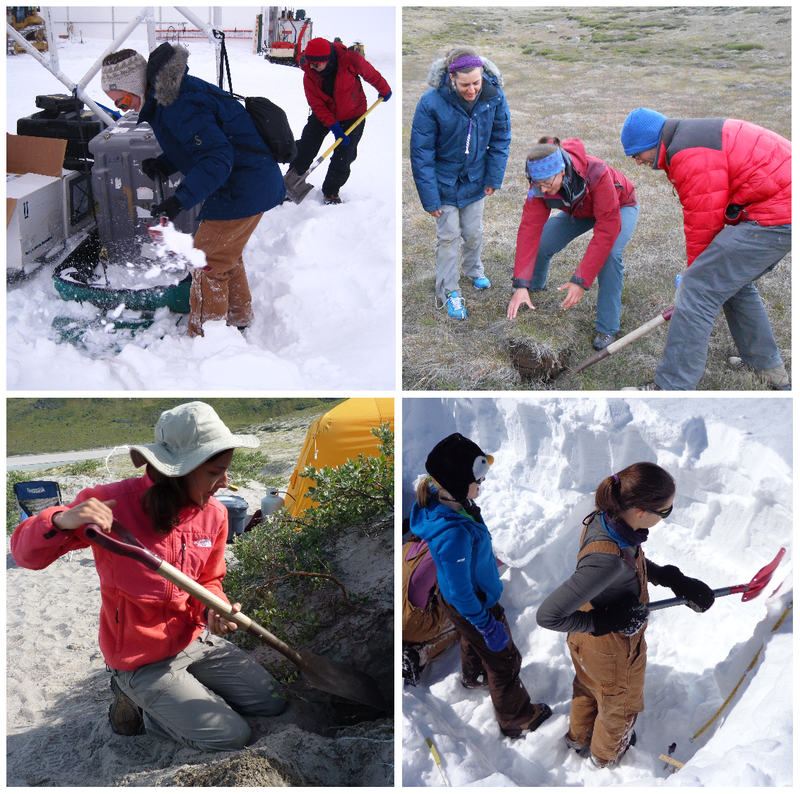 We found ourselves measuring density along snow pit walls at Summit and in deflation zone scarps in Kangerlussuaq. Not surprisingly, the least dense loess sample in our soil studies was far denser than even the ice samples that we measured at Summit. Ruth and Kristin measure snow density at Summit (left), and Zak measures loess density in a deflation zone scarp (right). We’ve also managed to explore some of the lesser known perks of soil and snow pits. We have found that covered snow pits create a perfect venue for puppet shows. And though it’s a bit of an acquired taste, Zak has found sandy soils to be quite a delicacy! Zak tests the grit of the soil against his teeth.